(NaturalNews) Recent tests by the Portuguese No GMO Coalition showed that volunteers in the country had extremely high levels of glyphosate in their urine, placing their contamination rate well above that of many places in Europe. Every single one of the 26 volunteers had cancer-causing glyphosate in their urine; similar tests in Switzerland last year found glyphosate in only 38 percent of people. Meanwhile, testing by Friends of the Earth across 18 different European countries found glyphosate in just 44 percent of the urine samples tested. It is not just the mere presence of glyphosate that is setting off alarm bells; the levels noted were also disturbingly high. The EU limit for acceptable levels in drinking water is 0.1 ng/ml. The average glyphosate value found in the Portuguese volunteers' samples was 26.2 ng/ml – a whopping 260 times higher than the maximum legal limit! Meanwhile, testing of more than 2,000 Germans found an average of 1.1 ng/ml, and the highest value noted in that country was 4.2 ng/ml. The range of values for Portuguese volunteers went from 12.5 to 32.5 ng/ml, which means that even the worst German case was better than the least contaminated Portuguese case! It is also worth noting that the youngest volunteers showed a higher average value (26.7 ng/ml) than the group as a whole, and this phenomenon was also noted in the German study. 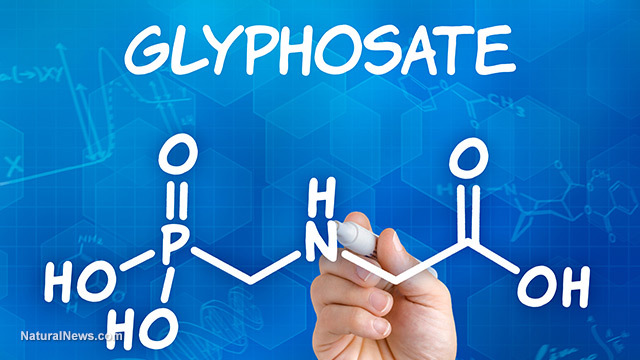 The researchers also point out that the values higher than 20 ng/ml are the highest amounts ever recorded in people who do not have professional exposure to glyphosate – a clear indication that the poisoning is coming from the food and/or water supply. Unfortunately for the Portuguese, glyphosate is the most widely used chemical herbicide in their country. More than 1,600 tons of this toxic chemical are sold there each year. There has been a rise in its use for controlling weeds in olive groves, something that was traditionally done via mowing, grazing, or tillage. It is being overused in the country's orchards and vineyards, and urban street spraying is also believed to play a role. Nevertheless, similar practices also occur in other European countries, and it is not clear why the levels are so much higher in the Portuguese volunteers. The Portuguese No GMO Coalition is calling for official testing on the country's soil, food, air, water and citizens – something that has not been done in more than a decade. The country's Ministry of Agriculture does monitor food for more than 300 pesticide residues, but glyphosate is somehow not on its list. This illustrates why it is so important for groups such as the Portuguese No GMO Coalition to take matters into their own hands and carry out tests to uncover just how widespread this problem is. Governments do not always look out for the best interests of their people, and concerned citizens have the power to draw attention to these problems. A similar effort is currently underway by EPAWatch.org to uncover the presence of heavy metals in the tap water of various American cities. In addition, Mike Adams, the Health Ranger, tested more than 800 foods in his cutting-edge analytical lab to determine the presence of a host of toxins. This information can be found in his book, Food Forensics. Such efforts are doing a lot to highlight the problem of dangerous substances in our food and water supply. As people become more aware of these issues, they are starting to demand that food companies use honest labeling practices, and are trying to put an end to this large-scale global poisoning. The news of Portugal's far-reaching glyphosate contamination comes as the date approaches later this month for EU member states to vote on the re-licensing of glyphosate. The Coaltion stated that, "Portugal must now face the problem and find solutions both at the national and European levels in order to clarify the reasons for such high human contamination and reduce it by several orders of magnitude." Despite the World Health Organization's International Agency for Research on Cancer calling the chemical a "probable human carcinogen," its use still continues mostly unabated around the world, thanks largely to the efforts of Big Agri company Monsanto, who have been known to fudge research results, smear doctors and journalists who speak out about glyphosate's ill effects, and bribe government officials to protect their business interests.